Cabo da Roca is a wild and windy headland, rising 140 metres above sea level. It is well known for being the westernmost point of mainland Europe. The main access to the area is along the sinuous road that comes from Azóia (EN 247-4). Various gravel roads are surrounding Cabo da Roca, but most are unsuitable for conventional vehicles, but perfect for hikers to explore the dramatic cliffs and bays around the area. The coastline is marked by the steep costal cliffs, achieving over 100 metres high. The sea has carved the limestone rocks into a dramatic landscape, and the erosion has shaped joints and faults like Pedra de Alvidrar, Pedra da Ursa and Pedra do Cavalo. There is a official circular hiking trail – PR7 with a distance of approximately 15km and a duration of 4,5hours, that offers walkers marvellous views of the beaches and cliffs. This is a route already with a certain degree of difficulty, due to some accentuated step downs. The route goes by Praia da Adraga, Praia Grande, Almoçageme and Azóia. Along the way Praia da Ursa and other small beaches such as Aroeira, Roca and Assertiz, in large part covered by high tide, make the wonders of sunbathers in spring and summertime. evoques the nation border and opens the door for the Portuguese overseas expansion. 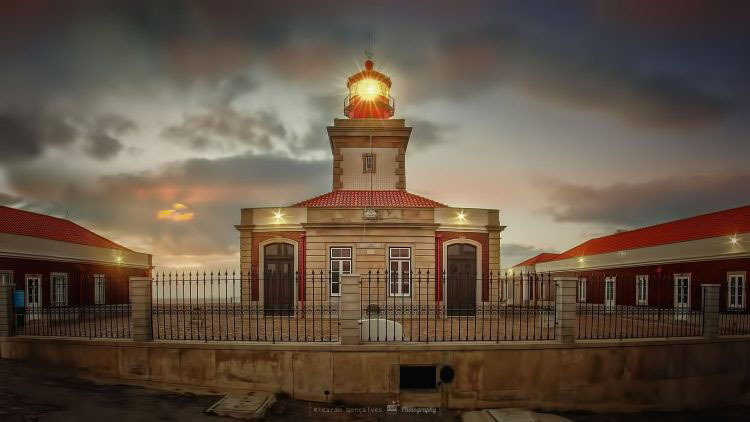 Remarkable is also the Cabo da Roca lighthouse, a white prismatic tower, built in 1772. The light flashes a signal every 18 seconds, with a nominal range of 26 miles. Cabo da Roca is also well know as a meeting point for motards, every Sunday morning, around the lighthouse and Cruzeiro do Facho, these motocycle fans get together and enjoy the beautiful views of the coast.